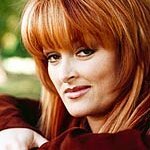 Country singer Wynonna and former Apple Records executive Ken Mansfield will celebrate the 42nd anniversary of The Beatles’ Sgt. Pepper album on June 9 with an evening of live music and storytelling at the W.O. Smith Nashville Community Music School. The With a Little Help From My Friends benefit will occur from 7-9 p.m. in the school’s concert hall. The event will feature career reflections and readings from Mansfield; live performances by country star Wynonna, contemporary Christian artist Phil Keaggy, country star David Ball, and other celebrity guests; and the presentation of a proclamation by Metro Councilman Parker Toler naming Jan. 30 as Nashville Beatles Music Day. Proceeds from the event will be used to help W.O. Smith continue to provide instruments and music instruction to hundreds of children from low-income families. The school is located at 1125 Eighth Ave. S. in Nashville. Admission to With A Little Help From My Friends is $20 per person. Seating is limited. To order tickets, call (615) 255-8355. Mansfield will use his appearance to share reflections from his “glamorous” life as the former U.S. manager of Apple Records and Grammy Award-winning producer of the groundbreaking Outlaw album. He revisits the landscapes of success and excess in his new book, Between Wyomings: My God and an iPod on the Open Road. Published by Thomas Nelson, the book recalls the musical icons, pop stars, wild men, and troubled souls he encountered, including The Beatles and Waylon Jennings. In his third book, he sees with the eyes of a Christian, searching the geography of his life for insights into grace and redemption.